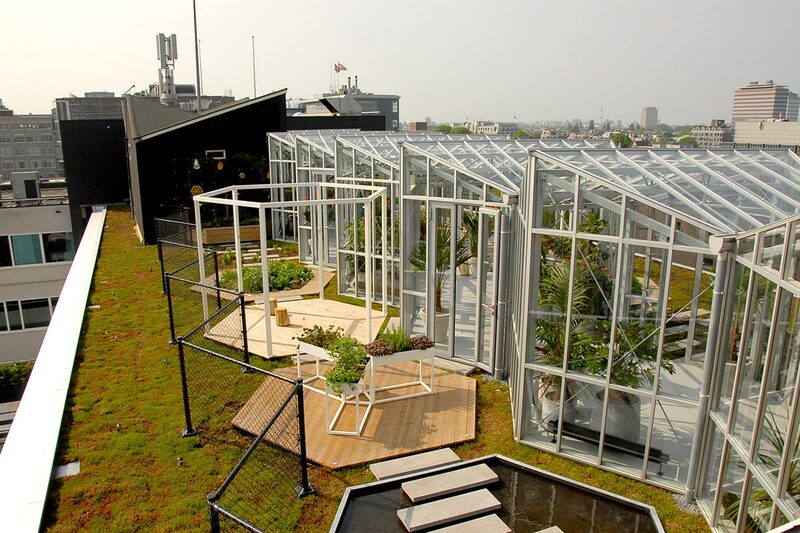 Challenge: In the existing ‘Metropoolgebouw’ is a new hotel being built: Zoku Amsterdam. 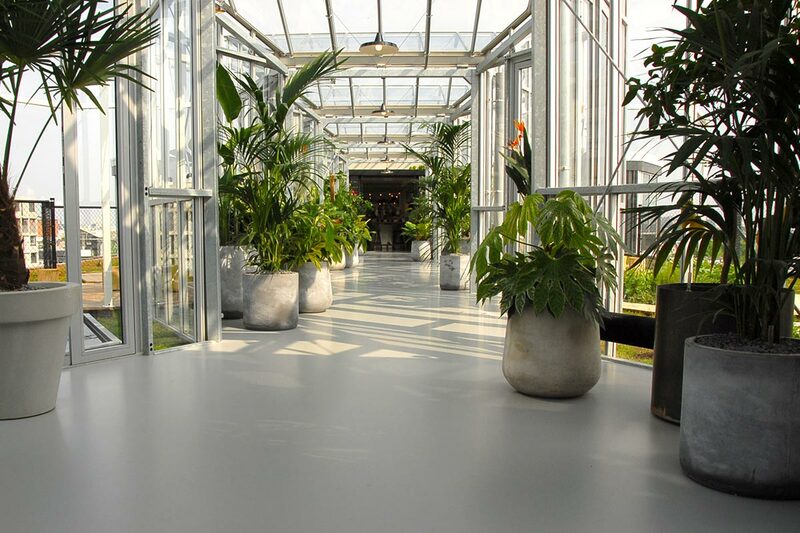 Zoku is working with interior architect firm Concrete for the design of the hotel. 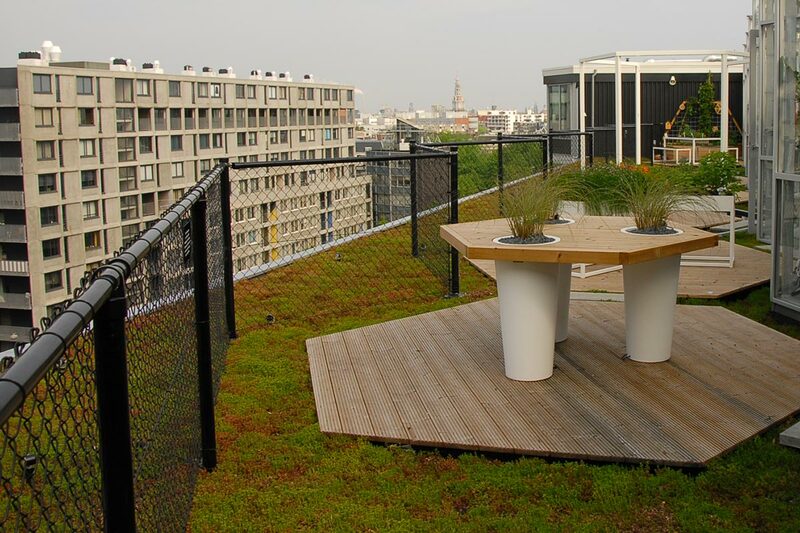 How do we create a beautiful roof garden whitin the design concept? 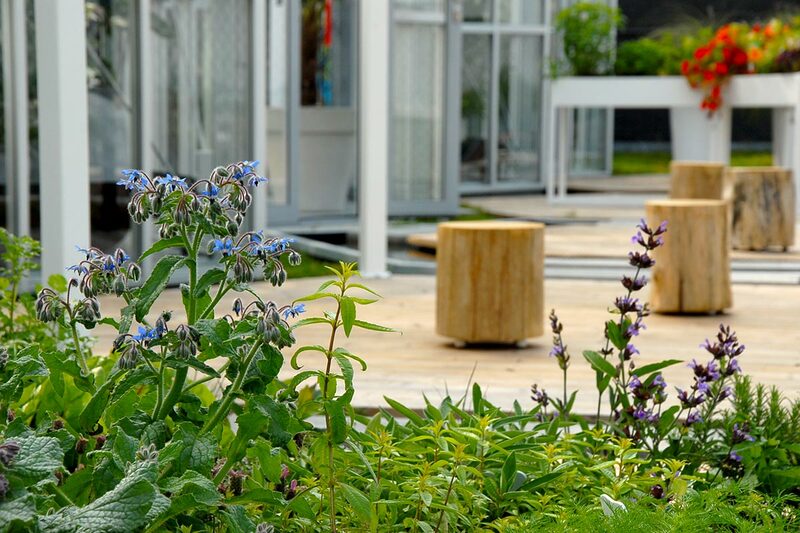 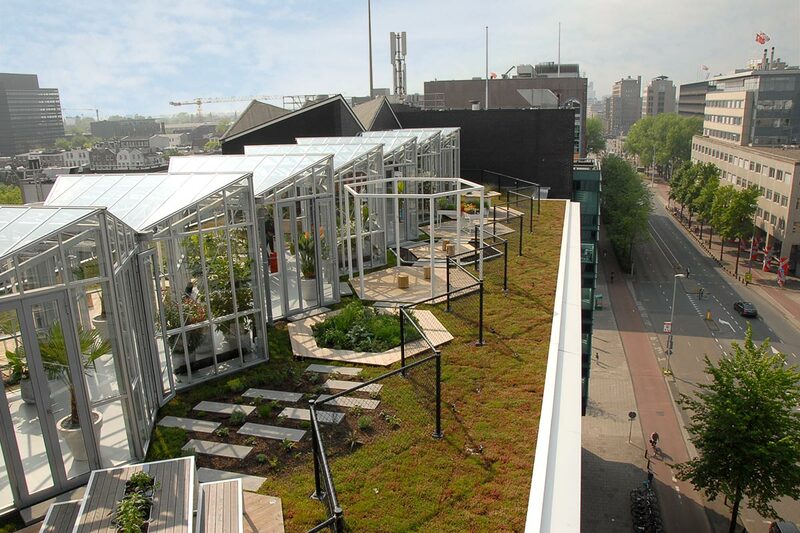 Result: A roof garden to be proud of. 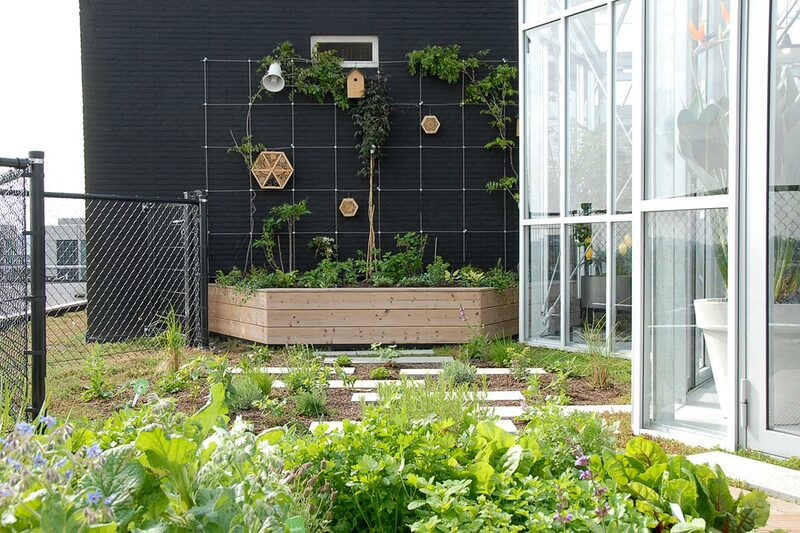 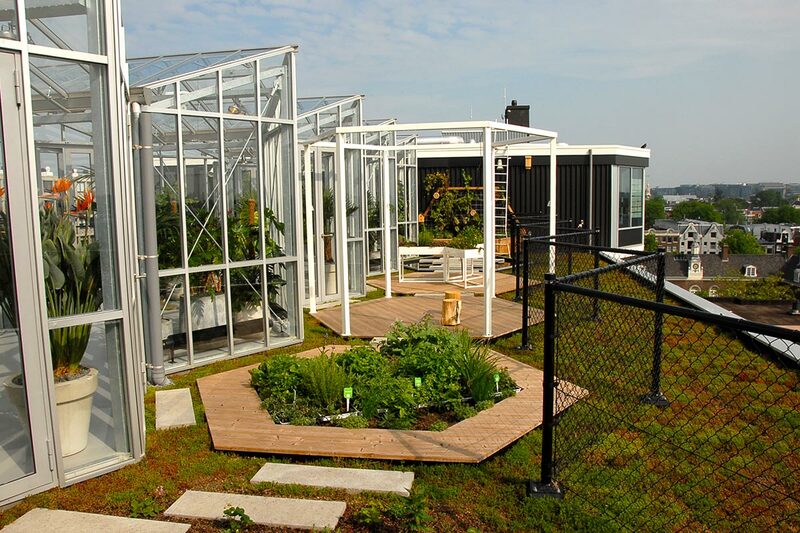 A beautiful green outdoor area on both sides of the hexagon-shaped greenhouse on the roof. 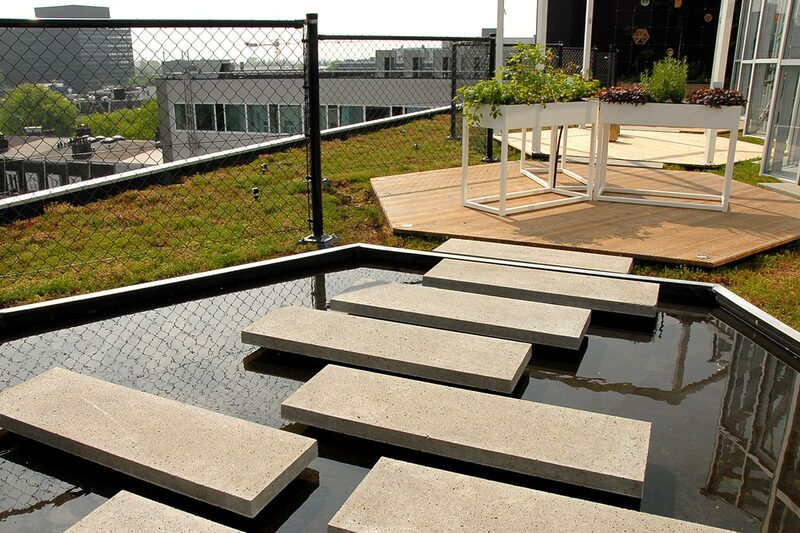 “Hexagons” are the theme of the hotel and we’ve implemented this in the design of the roof park.